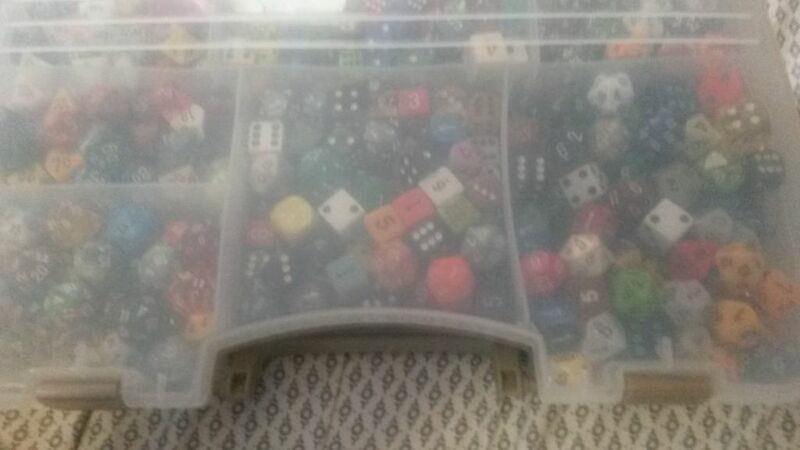 This is my Dice Collection site. 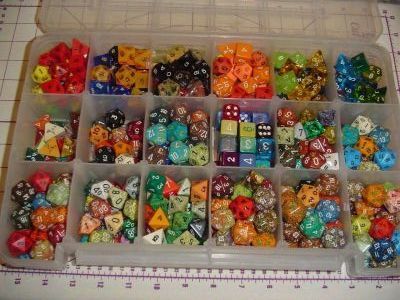 I have about 2500 to 3000 dice. 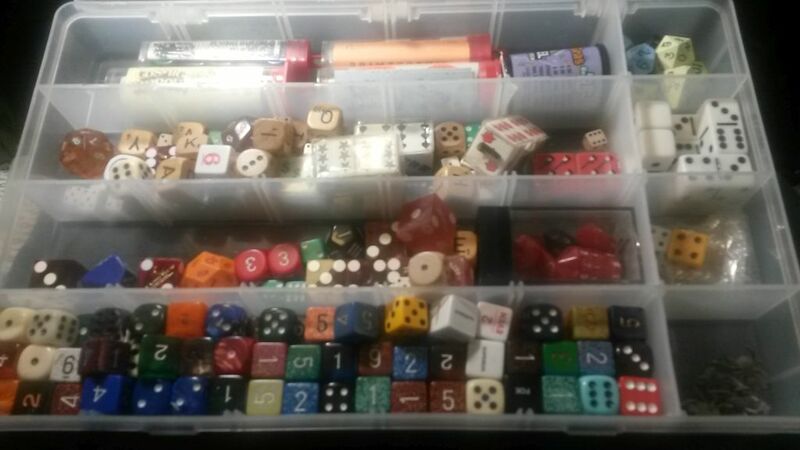 Added photos of one of my dice storage boxes. I have some new dice. I hope to photograph them and update the site in 2018. 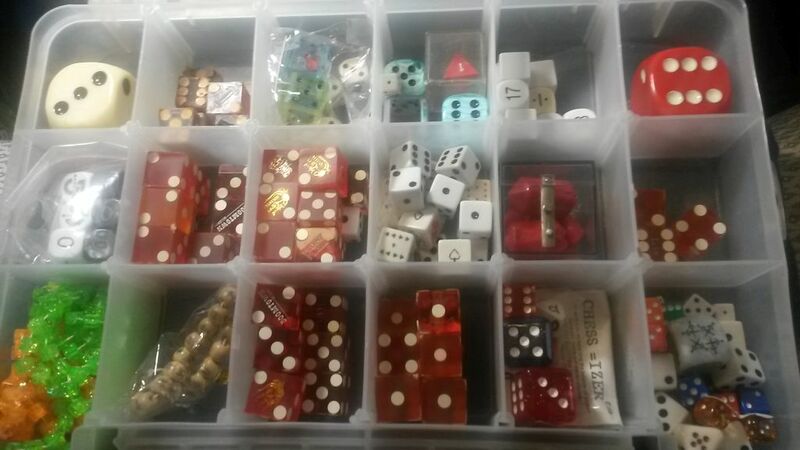 I have all my posts/articles here for my dice, but I don’t have all the menu at the top updated yet. I’ll work on that as I have time. Not all links on the site navigation lead to a page. I’m working on that. I’ll post when they are complete. I have fixed the links. 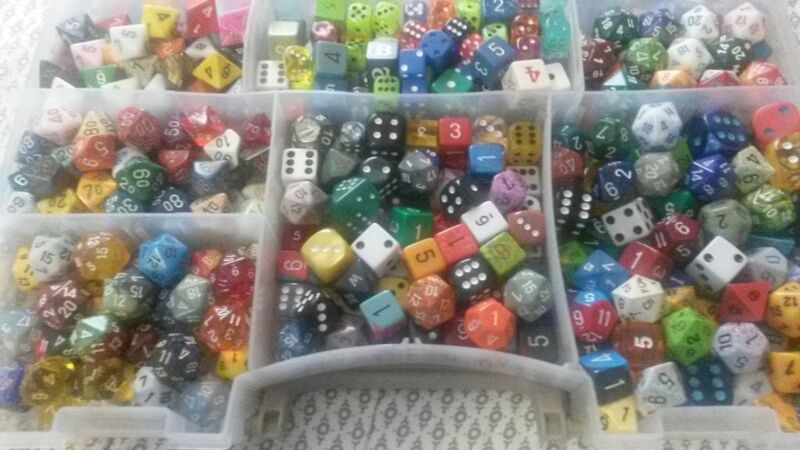 I have more dice to photograh and upload, link to, etc. I’ll update when I have time. Almost done with the new navigation menus. Evidently people like to steal my photos. gophoto.us being one of them. Link to my site, don’t steal my work ! Closed and open photos. No movable partitions in this one. 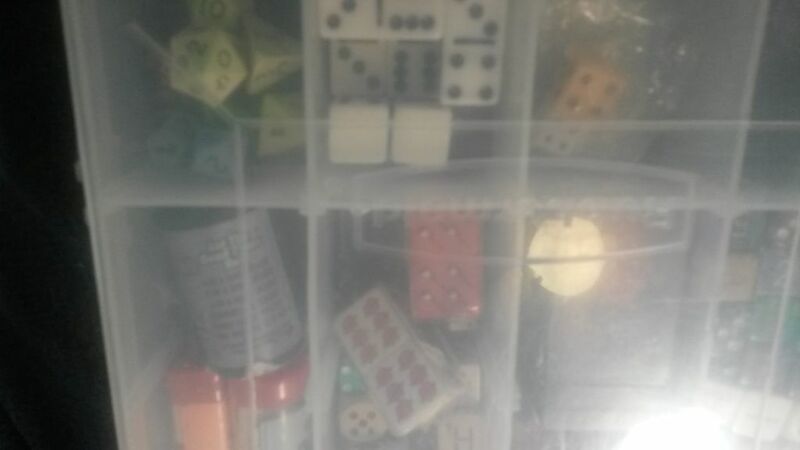 Rubbermaid storage box, I probably found it in kitchen storage in a big box store.